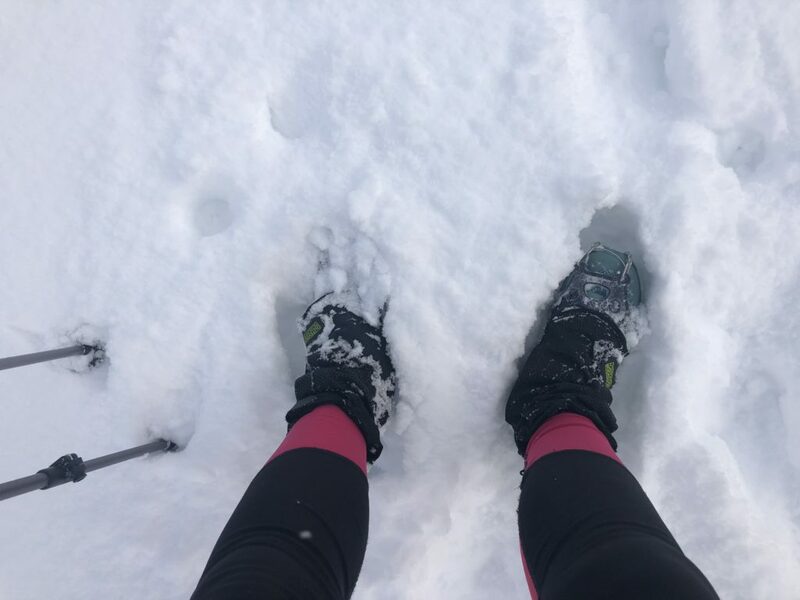 My go-to trail runner is the Salomon Sense Ride, so I was beyond excited to try the GORE-TEX® versions on the snow this winter. I keep up my mountain running during the winter in the Vail area with spikes and snowshoes attached to my trail runners. The Salomon Sense Ride GTX® shoes are as comfortable yet responsive as their original counterpart while offering the necessary waterproof technology that’s needed to face adverse weather or seasonal conditions. The Sense Ride GTX® combine a good amount of cushioning, and with the GORE-TEX® membrane integrated into the outer material, the shoe feels more like transitional mesh. The Quicklace® lacing system makes it easy to slip the shoes on and off, and since the shoes won’t come untied there is no reason to stop mid-run and remove your gloves. Winter running can mean very cold mornings, and my feet did get cold in these shoes when the temps dropped below 15 degrees. Other than that, they kept my feet happy and dry on fast interval days and long snowshoe races. These are great for winter, but truly ideal for wet and potentially spring and fall conditions, along with those rainy summer days. Pros: For those who already love their Salomon Sense Ride trail runners, it’s a no-brainer to get the GORE-TEX versions as they stand up to winter conditions and those wet trail days throughout the year. 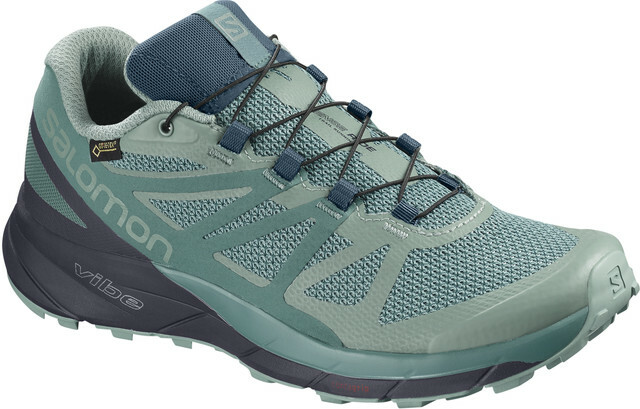 Cons: The Salomon Sense Ride GTX® trail running shoes did seem pretty stiff at first with a more rigid construction than I notice on the non-waterproof Salomon Sense Ride shoes, but that did soften up after about five runs. 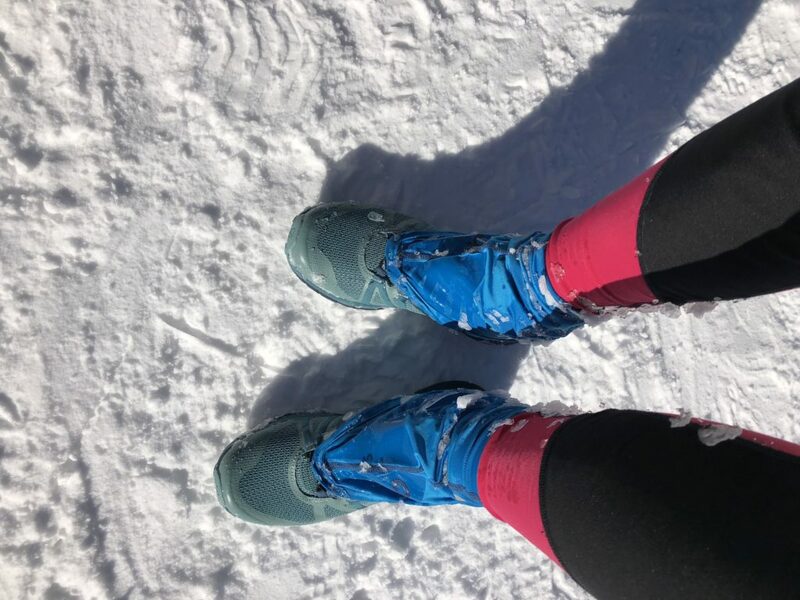 The shoes kept my feet comfortable in cold temperatures, except on winter morning below 15 degrees Fahrenheit on the snow — my feet got cold in these conditions and didn’t warm up during the run. Where I Took It: On-snow running on hard pack snow and in powder on Vail Mountain, and for two 90-minute snowshoe races in Beaver Creek on groomed and single track trails.